Christmas week breakfasts are always special in our house. 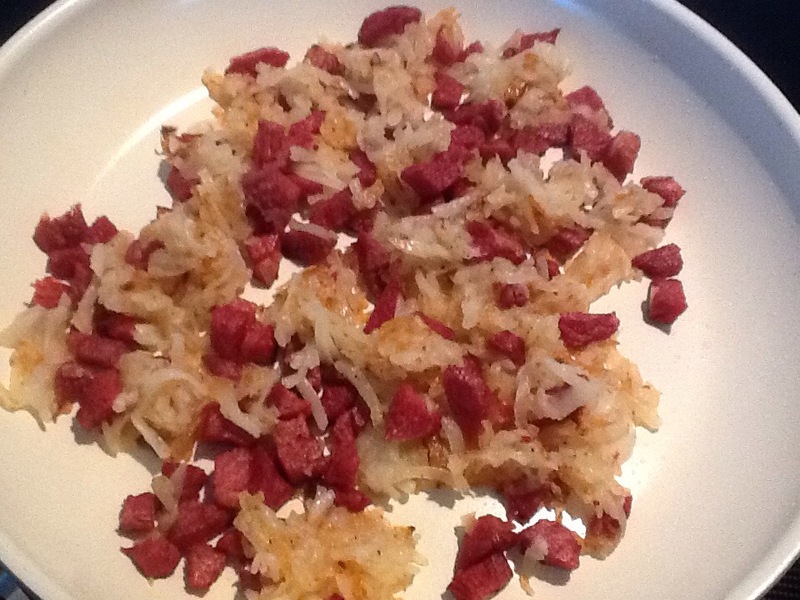 Last nights dinner becomes corned beef hash, the perfect foil for eggs fried in duck fat. 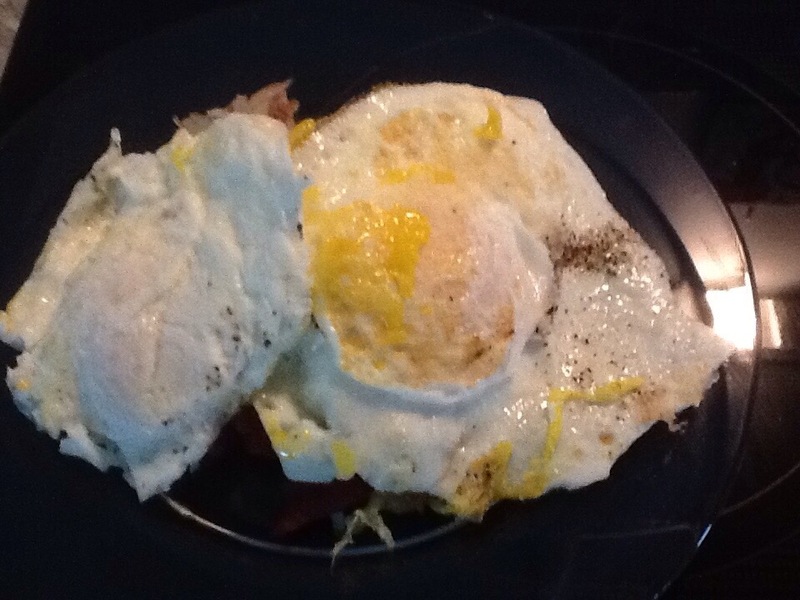 A little hollandaise sauce on top of the hash, gilds the lily. Previous Previous post: What’s for Dinner, Mom? Next Next post: ‘Twas the day before Christmas….